This month, we're taking a break from Matryoshka and instead talking about my NaNoWriMo project. There's only a month left, which means planning is now under way! This November, I'll be writing Witches Black and Silver, a Mulan + Swan Lake crossover retelling. Last month, I sent a special upgraded #WatchMeWrite to my takeout army, and it had a voiceover explaining my stylistic choices and my characters' quirks. This month, all of you can enjoy the voiceover! Watch the video above and hear me ramble. In the next month, I'll be hard at work planning and preparing for NaNo. 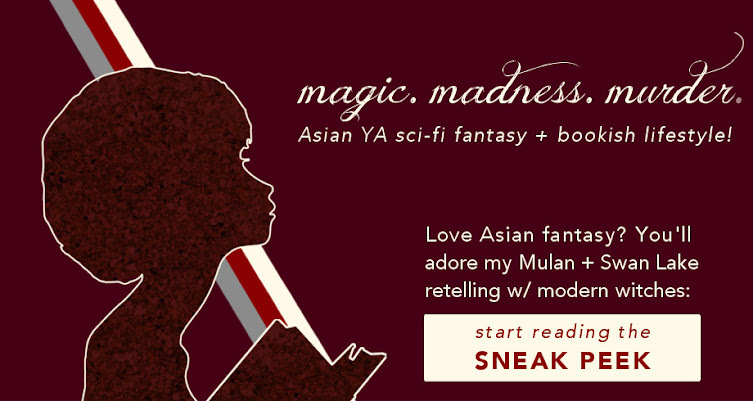 I find myself needing some input and advice on one thing, though — if you want to take part in the making of my Mulan + Swan Lake retelling, join my takeout army now to help out in this secret mission before next Saturday! What excites you most about WiBaS? Where does my accent come from? Comment away.